Recently I was out for a walk with Jack and the neighbor stopped me to ask if Jack could have an Alligator treat. My first reaction was "no", i'm really picky about the treats that I give Jack. Then she informed me that they're made in the USA (bonus!) 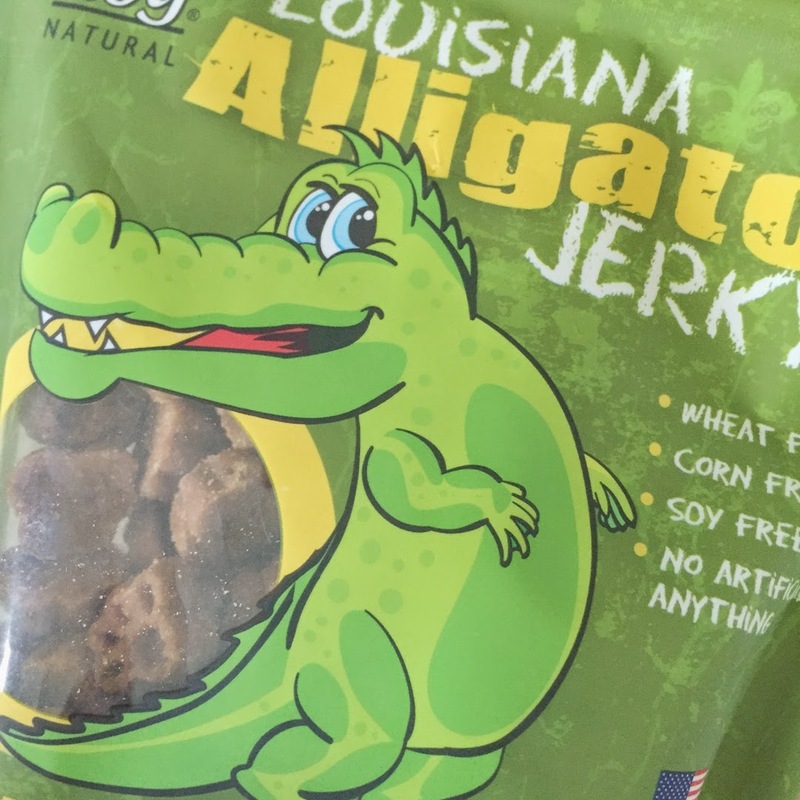 and started to read off the ingredients - the first one being alligator and each one following it I actually knew what it was. I allowed Jack to have one and he was absolutely hooked. If you haven't tried these with your pups yet I highly recommend them because we give them FOUR PAWS UP! All the neighbor dogs would agree too.